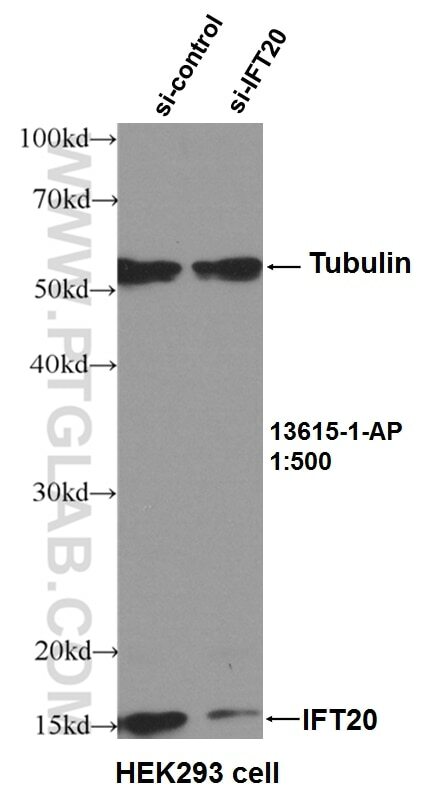 WB result of IFT20 antibody (13615-1-AP, 1:500) with si-Control and si-IFT20 transfected HEK293 cells. 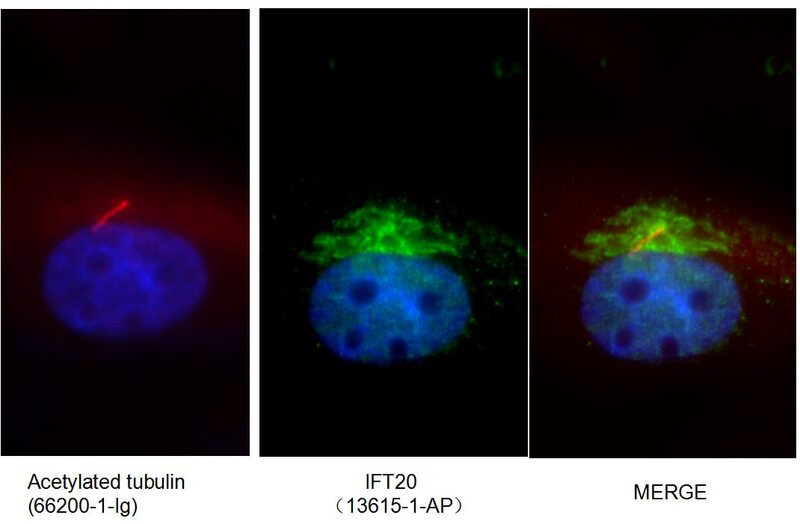 IF result (localization to Golgi-like structures) of anti-IFT20 (13615-1-AP, 1:50) with serum-starved hTERT-RPE1 (MoTH fixed) by Dr. Moshe Kim. 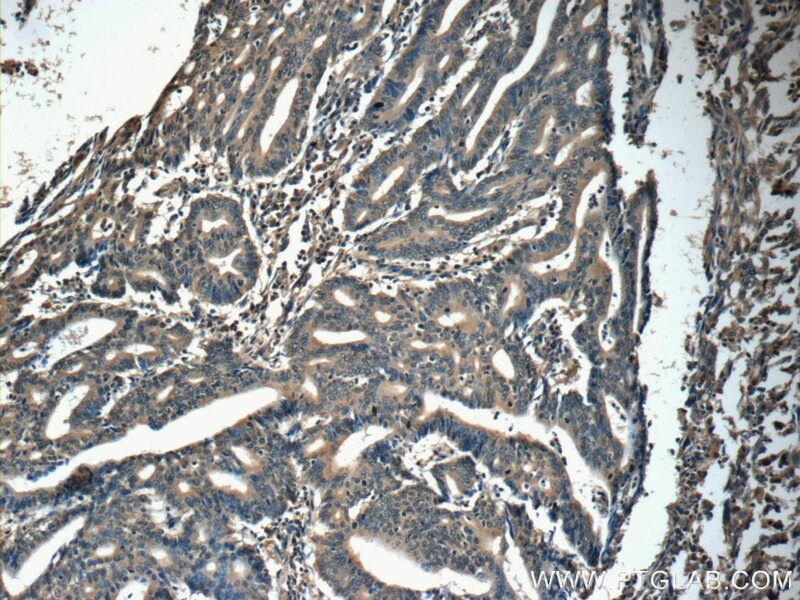 IP Result of anti-IFT20 (IP:13615-1-AP, 3ug; Detection:13615-1-AP 1:700) with mouse testis tissue lysate 4000ug. Intraflagellar transport (IFT), mediated by molecular motors and IFT particles, is an important transport process that occurs in the cilium. 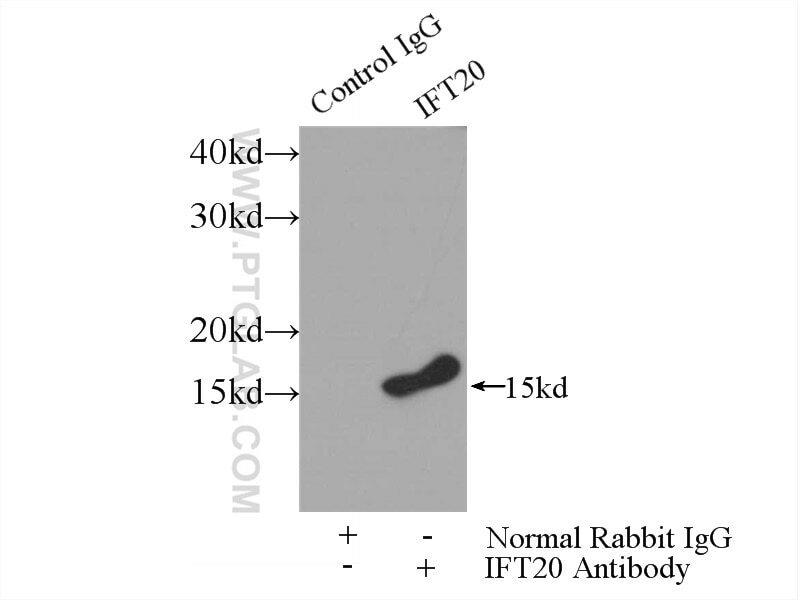 IFT particles are multi-subunit complexes that are made up of complex A and complex B. IFT20 is a component of IFT complex B and involved in ciliary process assembly. 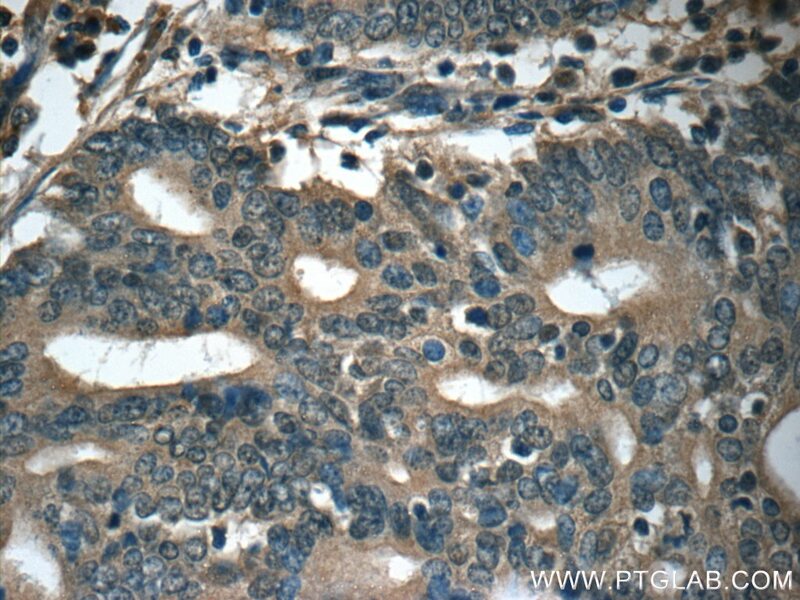 It is associated with the Golgi complex and plays a role in the trafficking of ciliary membrane proteins from the Golgi complex to the cilium. Excellent for IF labelling of the Golgi under PFA fixation. 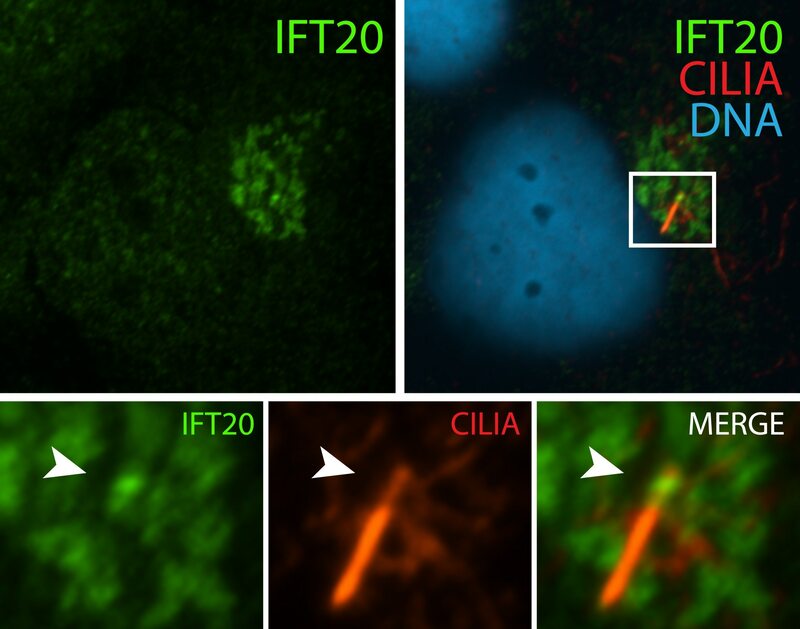 IFT20 modulates ciliary PDGFRα signaling by regulating the stability of Cbl E3 ubiquitin ligases.